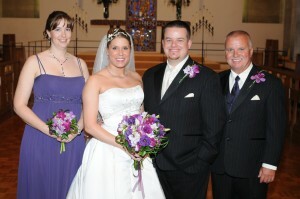 Our wedding consulant, Brittany, was quoted in a recent article on theknot.com. 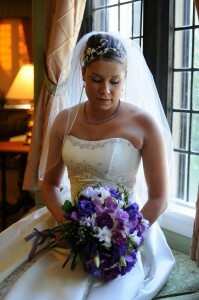 And for your veiwing pleasure we have photographs from Melissa’s September wedding courtesy of David Ghent Photography. The range of purples and textures within this handtied bouquets creates a luxurious and romantic feel. Orchids, lisianthus, and freesia add glamor while hydrangea and dianthus provide volume.